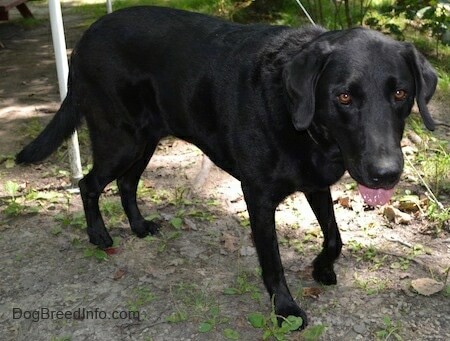 "We rescued this black Lab from our local shelter last November. He has been so wonderful. 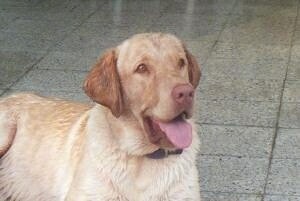 He is smart, very energetic and loves to swim. We think he was about a year old. 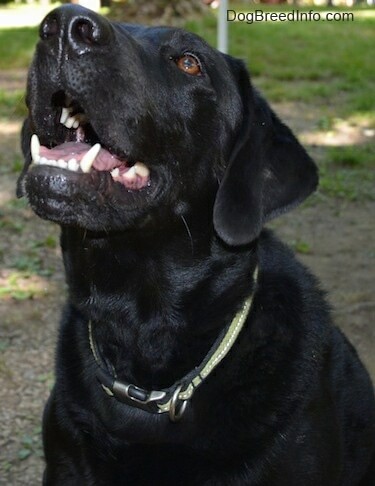 His name is Lucky, which fits because he would have been put down on Friday if we had not rescued him. I just can't believe someone gave this dog up. 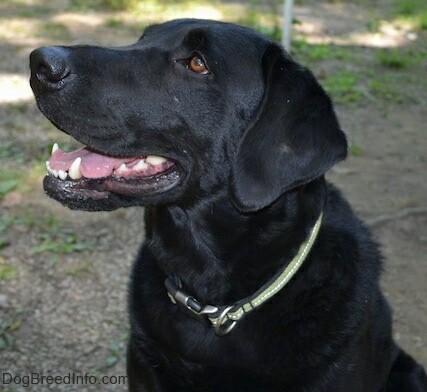 He is a wonderful dog—he is loving, devoted and loves to sleep on the bed." 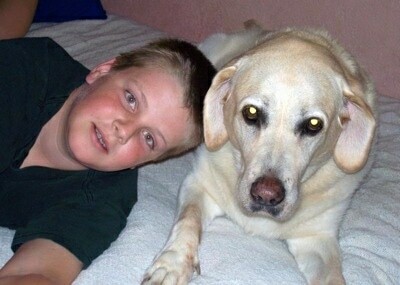 Goldie with her owner Dan—"This is a picture of our yellow Lab Goldie. She passed away and we miss her so much. 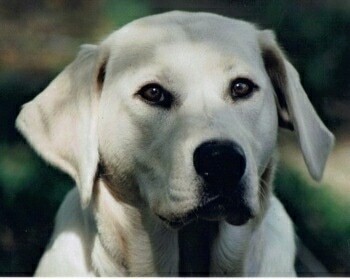 She was the best dog ever." 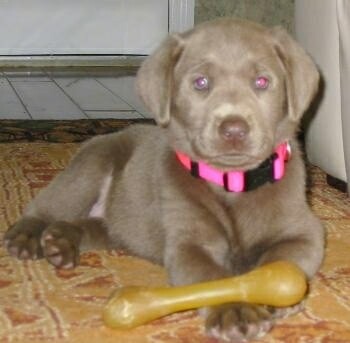 "This is Lucy the Lab at four years old. She has already had six major surgeries on her knees and was diagnosed with stage-2 borderline-3 cancer. This picture is entitled, "The eye of the Tiger." Lucy has the spirit of a fighter in her and we know she will overcome this battle as gracefully as she has overcome the last six." "These are my two dogs Dixie and B-B. 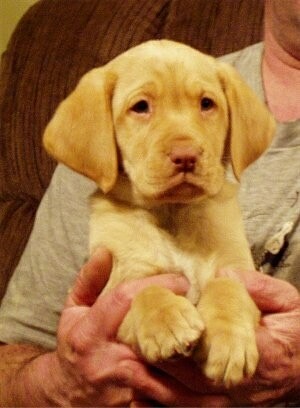 Dixie is the yellow Lab and she is 1 year old." 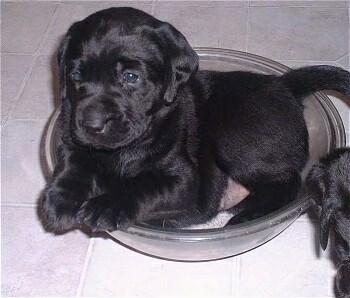 "The black Lab is B-B. She is 13 years old and still doing well. I have had her since I was born." 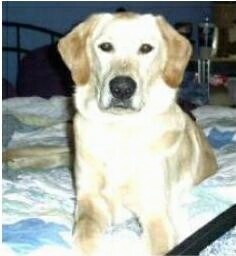 This is Denver the yellow Labrador Retriever up on the bed. At one year he weighs 100 pounds.